Sundarijal - Shanti Leprahilfe Dortmund e.V. 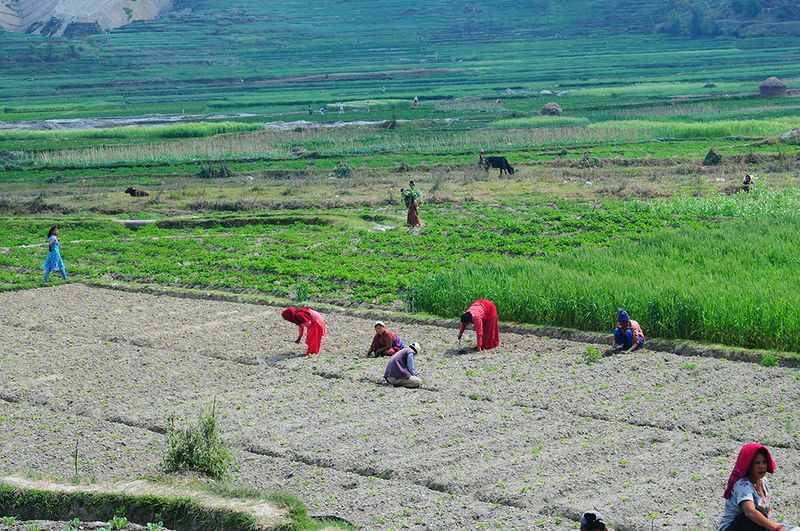 A green garden as far as the eye can see: Shanti's organic-dynamic cultivated fields in Sundarijal. Fertile earth for grains, legumes and vegetables. A portion of the rapeseed harvest is used for seed cultivation. 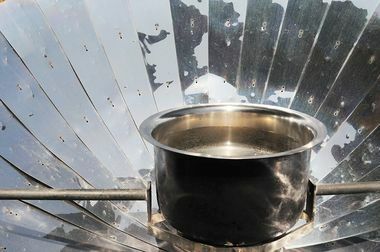 A parabolic mirror uses sunlight to boil and purify water. In 2003, Marianne Großpietsch wanted just one thing for her 60th birthday: money to buy as large a parcel of land as possible. Her wish was fulfilled. 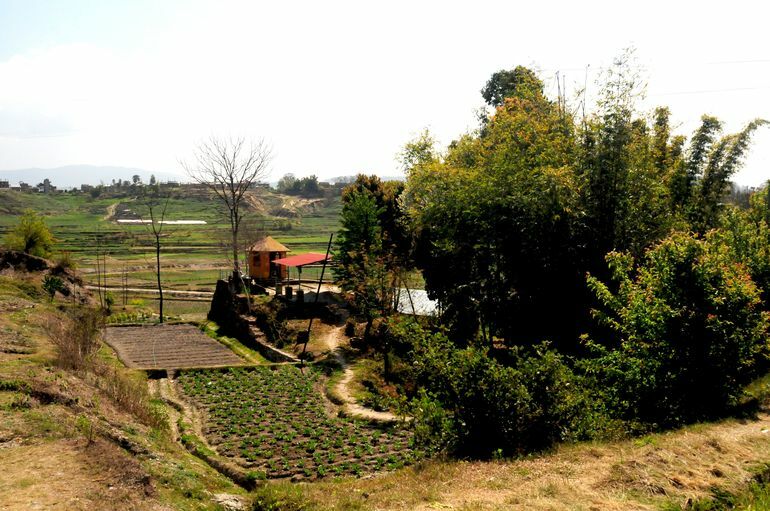 She was able to purchase 5,000 square metres of land in Sundarijal, a village around 10 km east of Kathmandu in the middle of the fertile Kathmandu Valley. 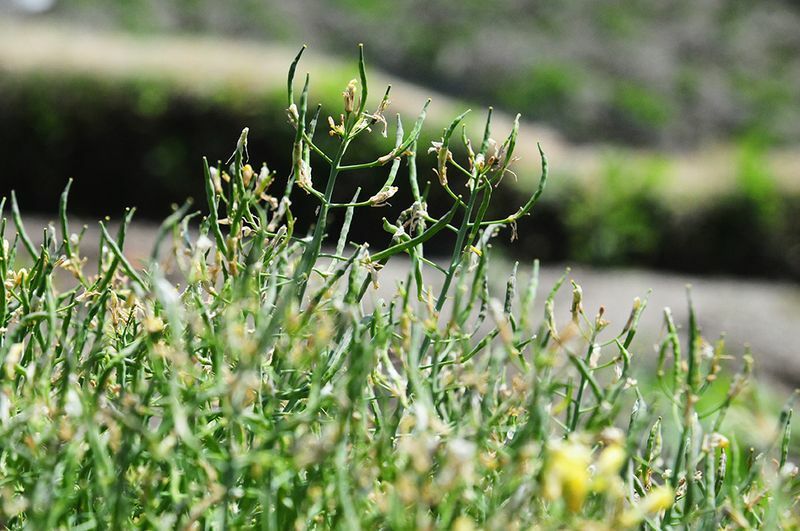 Here, fields are cultivated to provide ingredients for the food kitchen: legumes, corn, potatoes and vegetables. In this way, Shanti is largely independent of the supply of food in the city, which are subject to large price fluctuations and whose quality often leaves much to be desired. The seedlings are grown in the greenhouses and later planted in the fields. 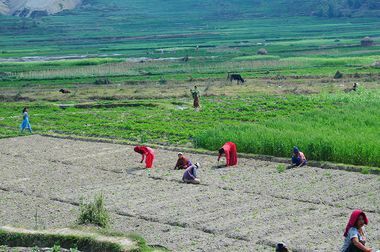 The seeds originate from Demeter cultivation operations when possible, and the crops in Sundarijal follow organic-dynamic farming guidelines. Clean water is prepared with the help of a large parabolic mirror, which concentrates sunlight. A pot of water stands in the middle, which begins to simmer within a short span of time. This methods boils water to kill any germs, providing potable water for cooking.